The famous/infamous European hero, crusader and voivod, Vlad “Tepes” Dracula III (1431-1476), was actually (for better or for worse) one of knightly peers of European Chivalry. Already at the age five he was inducted into the Order of the Dragon, as previously his father Vlad II Dracul had been inducted by the Emperor Sigismund. 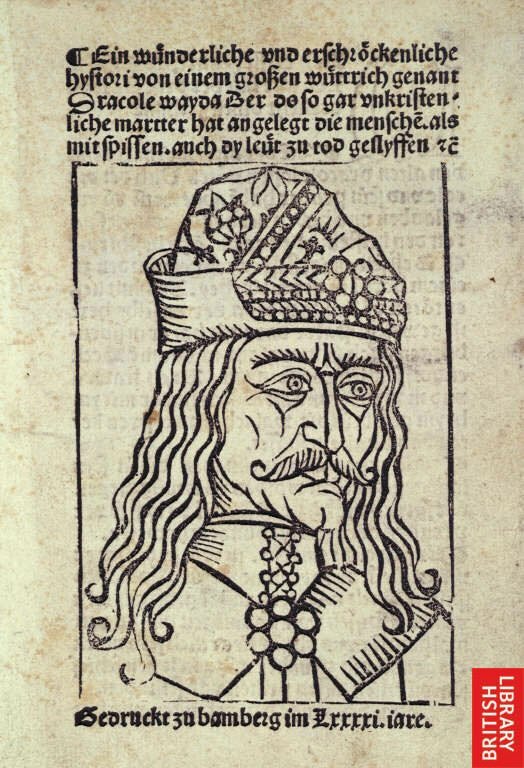 For the next several formative years, Vlad III gained his primary academic & martial arts training at Targoviste, the Byzantine- & German-influenced capital of Wallachia. Then later at the former sultanate capital of Edirne, he learnt Turkish warfare during his much-hated hostagement beside Mehmed II. Then eventually as an advisor to the brilliant Hungarian general János Hunyadi; and as a combatant, strategist & tactician in his own right; Vlad Dracula exerted his prowess against the Ottoman Empire, resisting it as a premiere European leader and warrior. Yet with the sole exception of the relatively correct artifactal portrayal in that gorgeous yet ludicrous movie Bram Stoker’s Dracula (1992) (i.e. its replication of an exacting Type XIV sword plus a plausible Type XV sword, plus imagination of some fanciful yet acceptable musculature plate-armour); most modern cinema portrays Vlad as some sort of artifactal bumpkin, a backward anachronist; someone wrapped in an archaic Mongolian coat of plates, topped by a junky Cossack hussar-helmet, and armed with a crummy Arabic sabre, etcetera; looking like some kind of Medieval gutter-punk gypsy-king; and thus hardly distinguishable from the stereotype of the Turkish hordes that he and his Wallachian armies so bravely fought in order to keep their part of Christendom free of foul Mahound.